We can achieve so much when we work together. That's why we teamed up to launch Editing Globally. We have combined our individual strengths and created a stronger collective to provide you with clear and consistent editing that fits your communications brief every time. A UK-based editorial professional with more than 30 years’ experience of working with words, in translation (French to English), proofreading, and copy-editing, who is also adept at formatting and page layout. After teaching English in Portugal for two years, Etty was an in-house translator for 14 years, including four years in Brussels and Paris followed by 10 years at the Council of Europe in Strasbourg. Etty left the Council of Europe to return to the UK, and after a break to raise a young family (and run a complementary medicine business) she resumed her translating, editing, and proofreading on a self-employed basis. She is an Advanced Professional Member of the Society for Editors and Proofreaders (SfEP) in the UK. She works on fiction and non-fiction, offering services to a broad range of clients including book publishers, magazine publishers, schools, businesses, charities, medical experts, students, and self-publishers. Etty specializes in medico-legal reports, health and medicine, school reports, international development, and luxury magazines and high-end lifestyle publications targeted at high-net-worth individuals. She also particularly enjoys working on subjects as wide ranging as photography, dogs, popular science, football, and food. A Toronto- and UK-based editorial professional with exemplary attention to detail who has been a wordsmith for her entire working life, with over 14 years of editorial experience, following 20 years as a practising lawyer. Janet offers specialist legal editing services for publishers, law firms, businesses, academics, and students, as well as specializing in editing and proofreading social sciences, humanities, and business books, articles, conference papers commentaries, reviews, position papers, book reviews, research reports, and client-facing documents for academic presses, academics, international professional services firms, researchers, students, NGOs, international development agencies, policy centres, and think tanks. She has extensive experience working with authors for whom English is not their first language. She particularly enjoys communicating with authors. Janet is committed to inclusivity and internationality, and welcomes clients wherever they are based. Janet is an Advanced Professional Member of the Society for Editors and Proofreaders (SfEP) in the UK and a member of ACES: The Society for Editing. 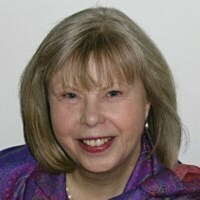 She has mentored other editors and proofreaders both formally, as a SfEP mentorship programme mentor and as a member of the Editors’ Association of Canada’s Toronto branch mentoring committee, and informally. Janet teaches editing courses in the Queen’s University Professional Studies Editing Standards Certificate programme. She also presents seminars and conference sessions on editing, proofreading, and the publishing industry generally. A UK-based editorial professional who has spent her entire career working with words and now specializes in fiction. Katherine is the former chief sub-editor of the Press and Journal newspaper and has also spent time as a senior press officer for the emergency services as well as a news reporter for DC Thomson Ltd. She now specializes in line- and copy-editing fiction for a variety of clients and particularly enjoys the genres of romance, crime, WWII, young adult, and children’s fiction. 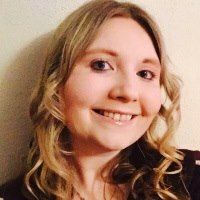 She particularly enjoys helping independent authors who plan to self-publish or approach an agent and offers services such as formatting and web design in addition to editorial assistance. She has extensive experience in guiding authors from finished draft to publication and works with authors from all over the world. 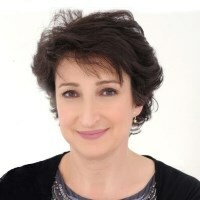 Katherine is an Advanced Professional Member of the Society for Editors and Proofreaders and is active in the Alliance of Independent Authors and the Association of Independent Publishing Professionals. She is also passionate about training and professional development and has trained and mentored other editors throughout her career. 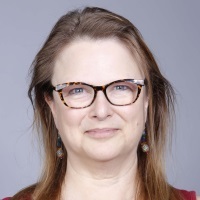 A Toronto-based editor and writer with almost 20 years in the world of publishing and communications, who is an experienced and reliable substantive editor, stylistic editor, and copy-editor, a confident writer and rewriter, as well as a seasoned researcher and proofreader. The recipient of Ryerson University’s Marsh Jeanneret Memorial Award in 2008 for excellence in editing, Kelly is a former columnist for TV Guide, a national weekly, in Toronto and Los Angeles where she wrote about sports and entertainment. She also held a project management position at a communications company in London, UK, where her clients included British Telecom (BT). Her writing background coupled with her editing experience makes her a diplomatic editor who is at ease with writers. She is particularly adept at working with fiction authors and is a thoughtful and thorough manuscript evaluator and stylistic editor. She helps authors to strengthen their characters, plots, point of view, timelines, and to bring out the best in their writing. In addition to fiction, her recent work includes non-fiction and academic books and journal articles, and corporate documents, covering subjects such as economics, philosophy, health, self-help, communications, and history. 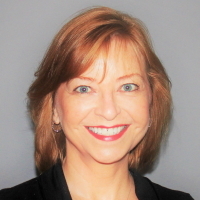 Kelly is an Advanced Professional Member of the Society for Editors and Proofreaders (SfEP). A copy-editor and proofreader for more than 25 years, who has worked on a broad assortment of books, reports, papers and magazines, as well as cookbooks, textbooks, reports on the internet, teachers’ guides, and academic papers on global governance and international relations. Madeline has worked on books on Canadian foreign policy, the global governance of climate change and health sovereignty in Africa, as well as reports on labour and development and on non-communicable disease. Since 1999, she has served as the managing director of the G7 and G20 Research Groups based at the Munk School of Global Affairs and Public Affairs at Trinity College in the University of Toronto and developed an expertise in global summitry. She is also the co-editor of the two series of publications on G7 and G20 summits now published by GT Media and its Global Governance Project. From 1998 to 2017, Madeline was the production manager for the Literary Review of Canada, a 32-page magazine published 10 times a year, thereby keeping in touch with public policy, social and cultural issues, and the top books being published in Canada. A UK-based editorial professional with more than 30 years’ experience of creating, editing and quality assuring documentation in a number of roles in education, information technology and business. 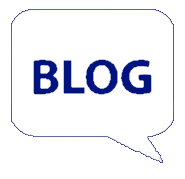 After starting his career as a physics and mathematics teacher, Martin moved into IT where he has worked as a trainer, consultant and project manager. In the 1990s, he worked at the Council of Europe in Strasbourg and was responsible for providing and supporting the IT capability of the Council’s libraries in the new member states from the former Eastern Bloc, including Russia, Estonia, Romania, Bulgaria, and Slovakia. More recently, Martin has worked for an international financial systems company, running global IT and security projects across more than 30 countries. Over the last five years he has been transitioning from employment in IT and business into the freelance editorial world. 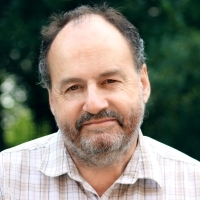 Martin is a Professional Member of the Society for Editors and Proofreaders (SfEP) in the UK, and he specializes in mathematics, science, IT, business, finance, sport and absolutely anything to do with technology. His technical background means he is very quick to pick up all the technical aspects of any software package and he is particularly adept at formatting Microsoft Word documents for producing PDF reports and training manuals. Martin developed this website for Editing Globally and is part of the team that manages the SfEP website.